You will never realise how dehydrated your skin is until you place a face mask on your face. I’ve always had oily skin since young, and it's quite bad (to me at least) as I experience myself having the need to wipe the oil off my face or apply some pressed powder few times a day. So I've never really thought my skin is dehydrated when my pores are producing so much face oil! But guess what? Skin dehydration can sometimes be the cause of oily skin! Sometimes your skin gets oily it’s because the inside of your pores is dehydrated, so when it's dehydrated your pores will produce more oil to keep your skin moisturized. 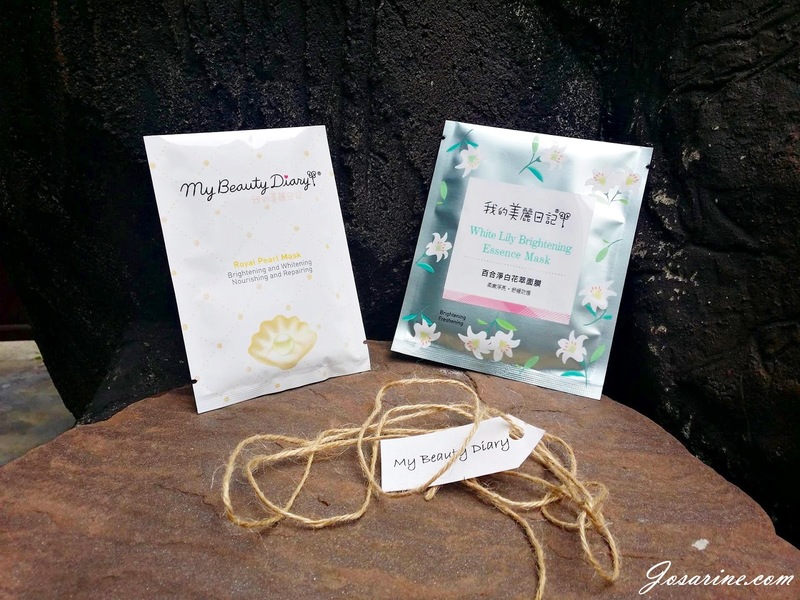 My Beauty Diary – Royal Pearl Mask that helps with not only brightening and whitening the skin, but also nourishes and repairs skin! <3. The pearl powder contains trace elements such as Calcium, Magnesium, Zinc essential extracts for the skin and several Amino Acid complex. 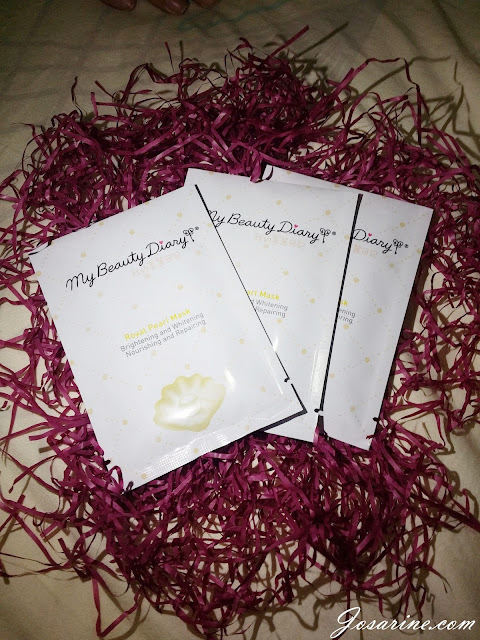 The mask also contains the two double-acting moisturizing ingredients and they are Cosphingo x Aquaroad that will help hydrate, whiten, and give your skin radiance. 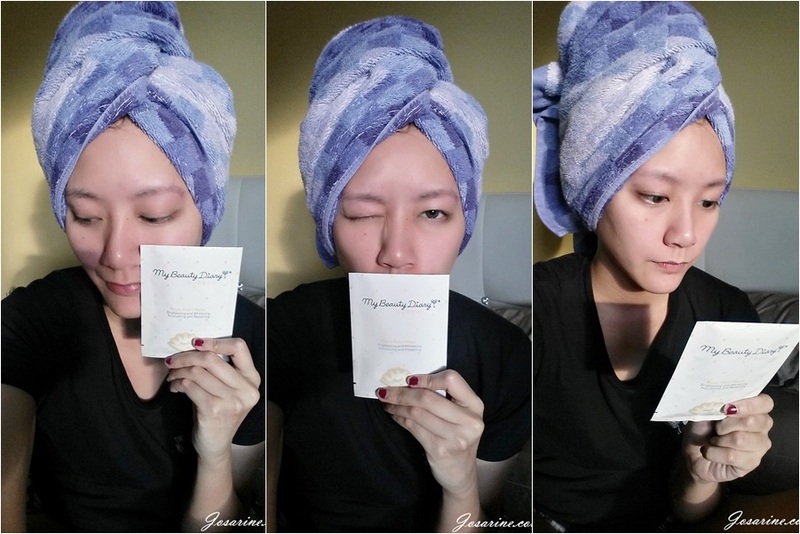 What’s the secret in this mask to a luminous complexion, a soft, clear and translucent skin? It’s the formulation with tea extract, enriched with tea polyphenols and Mulberry extract! As we are often exposed to polluted air, not forgetting the UV ray, we need to really take care of our skin. The herbal extracts from Sugar maple, Gingko, and Malvasylvestris provides a protective layer that will help skin defend against environmental damage, retain skin’s moisture and support healthy skin texture. Other extracts such as Licorice and hydrolysed Yeast protein will help to soothe, nourish and encourage skin renewal, giving it a visibly whiter and smoother complexion. 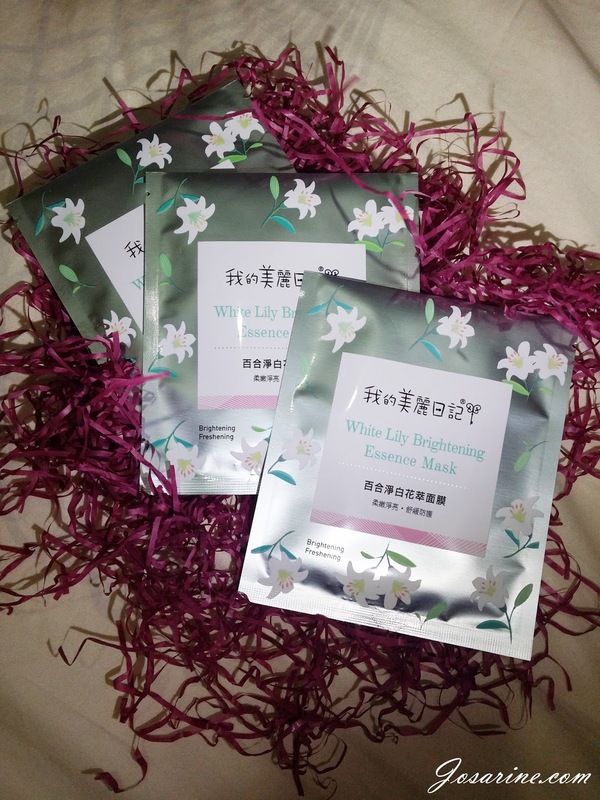 Next we have, White Lily Brightening Essence Mask. 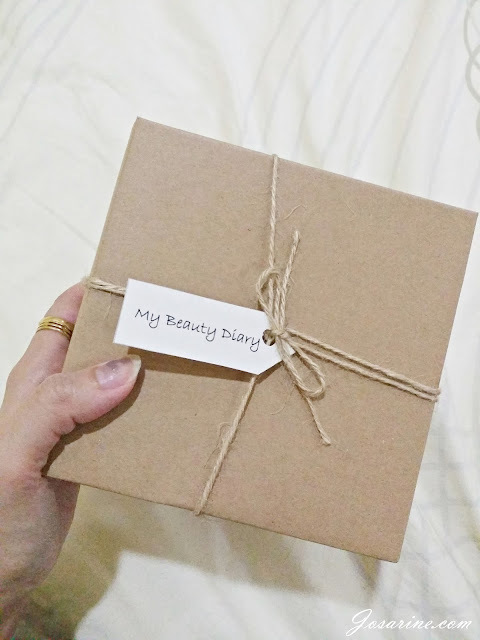 What is the secret to the softness and purity of your skin? Can you guess? It’s LILY! Every white petal helps in beautifying skin, so imagine when it’s blended with whitening essence from Olive leaves, tea leaves and sodium ascorbyl phosphate? This is the secret of White Lily Brightening Essence Mask to brighten skin complexion! This mask will leave your skin silky, smooth, tender, lustrous, and FIRM. There are times when our skin becomes stressed out and then breaks out, this could be possibly due to stress or even lifestyle. The Marigold extract in this mask helps calms, repairs, and strengthens skin cuticles to boost skin’s natural defence again anything that would irritate the skin while giving you a crystal clear morning dew complexion. Who doesn’t want that? 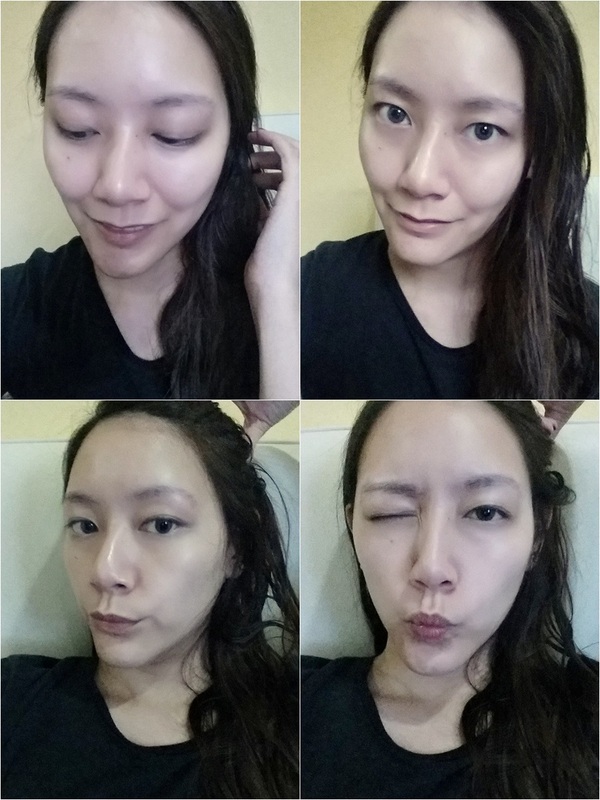 Before applying mask, ensure your face is squeaky clean so that you skin can absorb all the goodness! In this picture I had a facial scrub done in the shower, please excuse my turban. From this picture I think you can see my face is a little red, probably because I gave it a good scrub. :p. So here I was posing with the mask (Royal Pearl Mask), and then reading the instructions behind. 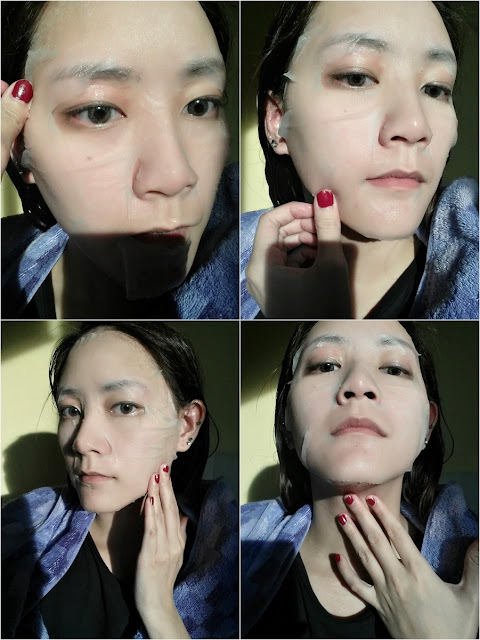 How many of you are PRO at applying masks? I’m sure most of you are ;) but for those who are not too sure, here’s a tip for ya’ll: spread the mask out evenly and give it a light pull to lift your face. J Any remaining essence on the mask I’d usually spread to my neck. 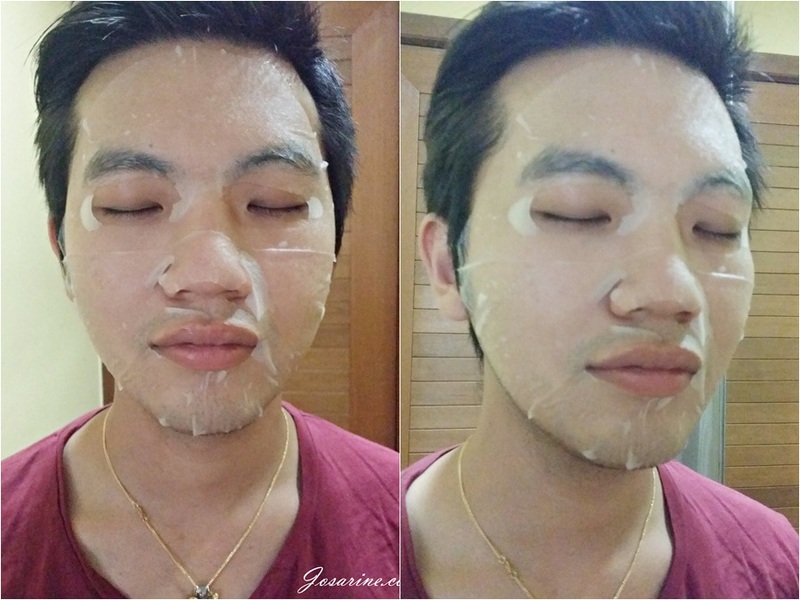 As much we girls love face masks because we want beautiful skin, but I’m sure there are a number of you MEN who uses face mask too and there’s nothing to be ashamed about because I know that guys want nice skin too! 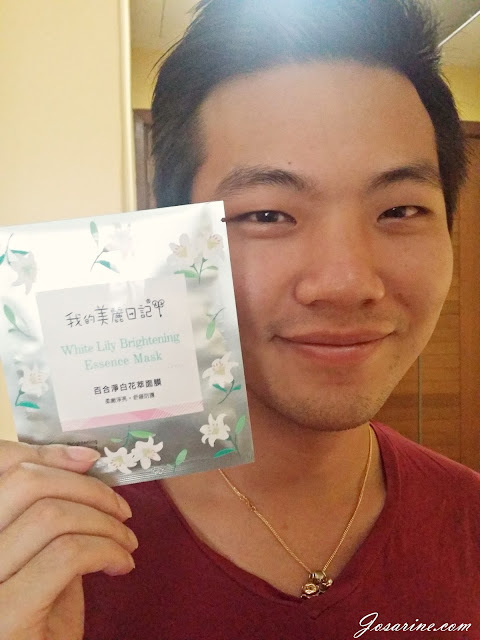 ;) So with that, let me introduce Jeremy here who will be testing out the White Lily Brightening Essence Mask. Jeremy’s skin is a little sensitive as he recently discovered that he’s allergic to facial products that have green tea extract in it. What happened was he once used a Green Tea face scrub and immediately his face started having red spots/patches, but thankfully it was not too irritating except for when he looks at the mirror. 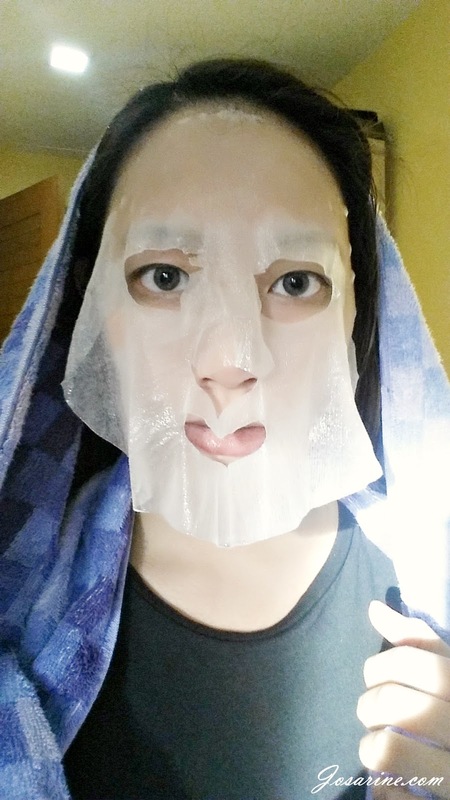 So let’s see if this mask is suitable for sensitive skin shall we? One thing you need to remember when doing face mask, DO NOT LAUGH OR SMILE. We both left our masks on for 30 minutes and did our own thing while waiting. Halfway I noticed my mask sheet started to feel a little dry. As for Jeremy his mask was still fine although we were both under the same room temperature. That’s when I realize how dehydrated my pores were that it absorbed the moisture so quickly! So 30 minutes have passed and what are our results? My face felt super hydrated, soft, smooth, and brighter! 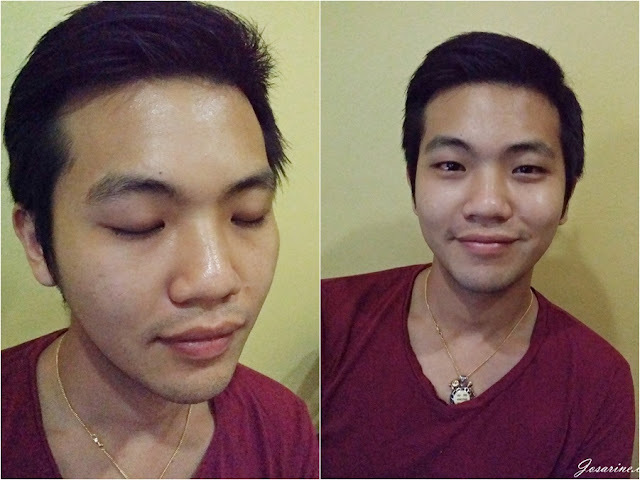 It’s been a long time since my face felt this smooth, I’m not kidding! It’s even glowing! What about Jeremy? His skin was glowing and it was brighter as well. He said his skin felt really smooth and firm, but best of all no allergic reaction! Trust me guys, if you have a really nice skin, girls will come complimenting and touching your face too.